Despite the cold and the mountains of snow, the past months here at the Gables have been witness to much activity. On the outside, work has been ongoing at the Phippen House, as the soffit and crown molding has been repaired along with the replacement of some seriously deteriorated clapboards, corner boards, etc. 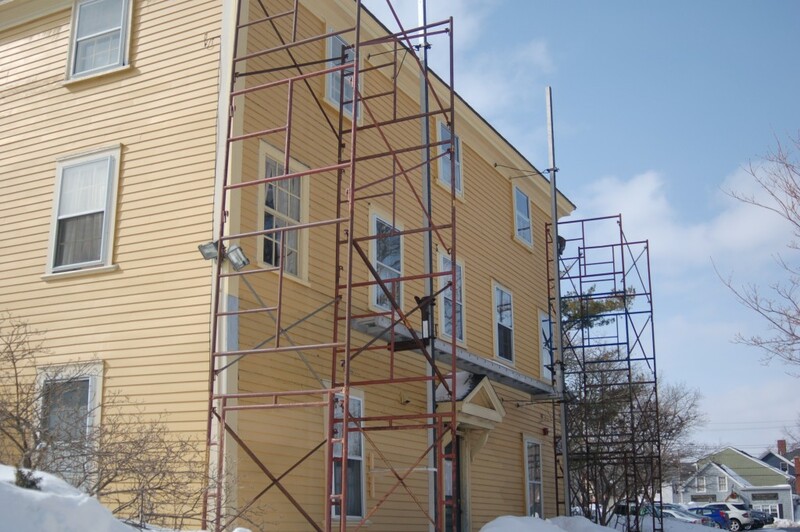 The Gables staff have been occupied with the replacement of board siding on the top half of the barn structure facing Hardy St. Both of these jobs were reviewed by the Salem Historical Commission and approval was given for the repairs. Projects such as these underscore the Gables commitment to its mission of preserving these historic structures. On the inside, we have been busy with cleaning and painting. The waiting room in the Gables has been freshly painted, as has the attic room, affectionately called “Clifford’s Room”. The front hall and parlor are being touched up. Work such as this will continue throughout the winter and spring.